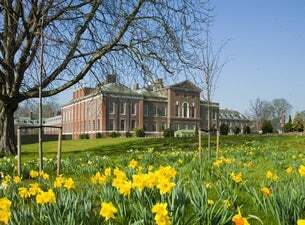 The palace sits in the beautiful Kensington Gardens, just ten minutes drive from central London. Now who's not interested in the former residence of Princess Diana? In 1689, the palace was completely renovated by the then royal residents William III and Mary II. Ever since it has been an official residence of the British royal family and it is nowadays occupied by the Prince and Princess Michael of Kent. One of the most famous occupants of Kensington Palace was Princess Diana (1961 - 1997). Even though her private quarters are not open to the public, you can view a selection of her royal dresses. You can visit four new exhibitions in the palace. These exhibitions introduce you to the royal lives of Princess Diana and King George II.